Blackmagic Design’s founder and CEO, Grant Petty, recently posted on the official Blackmagic forum with an update on the 4K camera. Although the post does not reveal an actual delivery date, Petty does offer a very candid review of the camera after taking it out for a couple of weeks, and he is giving the footage to you! Shooting in ProRes instead of RAW and using only still lenses, Petty admits the camera, although having a large sensor is not a “low light camera”. With that caveat in place, Petty is giving some of his more choice clips from his time with the 4K, ungraded. The 10GB file of Petty’s footage is available for download, (see links below) directly from his forum posts, and he encourages people to take it, color grade it and post the results. Admittedly not a colorist himself, Petty says he looks forward to seeing what others who are, do with the footage. I wanted to do a quick update on the Blackmagic Production Camera 4K. As I have mentioned previously we have been working hard on redesigning part of the camera due to differences in the production sensors to what we experienced in the early camera builds, however that work is completed now and we are in final testing. I wanted to post some clips that I personally have shot from the camera as I know people are interested in them. We have other more experienced camera operators out shooting with beta cameras now and they can post more realistic clips with lens details and other shooting information soon, however I wanted to post something now so I thought I would upload some of the clips I have shot personally. Its a big file at just under 10 GB so it will take a little while to download, but these 4K files are big. Also, I know you might want to color grade these shots so I allowed some clips to be longer at up to 10 seconds for some of them. I think when working in higher resolution, being able to see the movement in the distance in these shots is quite interesting. I will be excited to see if anyone color grades these shots up nice because I am a terrible colorist! We expect to see some of the DOP’s beta testing the camera to post some professional test shots with comments on how the camera performs in a few days. I hope that gives everyone a better feel for the camera. 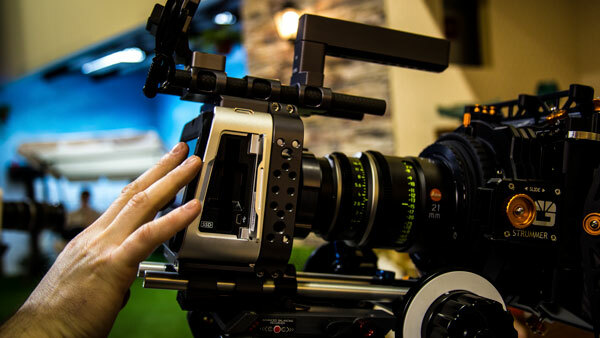 A lot of people think this camera is a similar camera to our other cinema cameras, but it’s quite different and so I think these posts will be important so people know what it’s like to use. I think people’s relationship to cameras is such a personal and deeply creative connection, so I never really know what will happen with a new camera until it’s used professionally. It has been really fun to get time over the last few weeks to use it myself!